I have a fun treat for you. 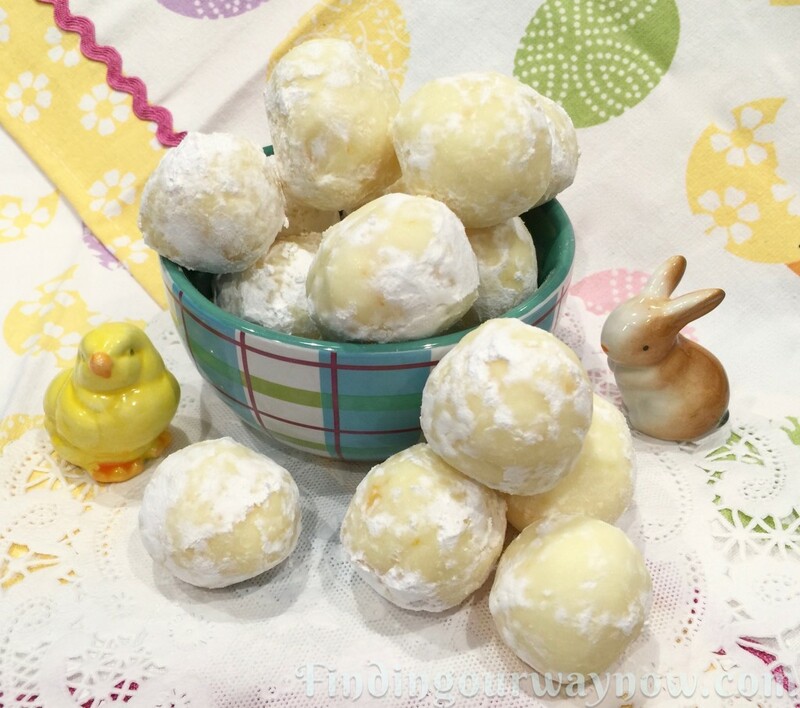 With St. Patrick’s Day and Easter almost here and a desire to use some Meyer lemon juice and zest, I thought why not make some Meyer Lemon Truffles and dress them up for St. Patrick’s Day, Easter or just for spring. Using a double boiler, slowly melt the chocolate and then add the butter and cream; stir until smooth. Add the salt, lemon juice, zest, extract, and food coloring if desired. (Note: Taste and add a bit more lemon flavoring to your liking.) Allow the mixture to cool. Refrigerate until it’s firm enough to handle, about 2 hours or so. 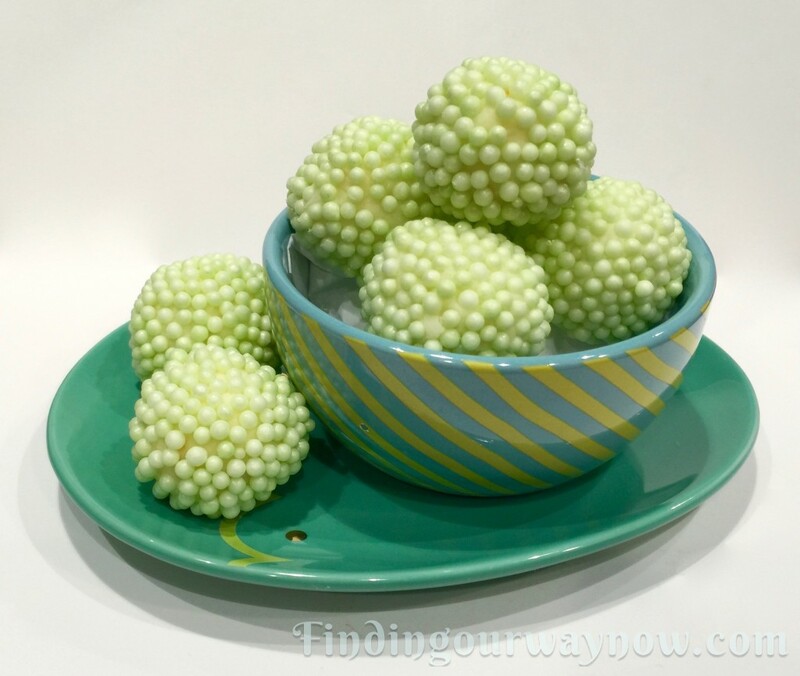 Using a melon baller or small spoon, scoop out the mixture and form approximately 1-inch size balls. 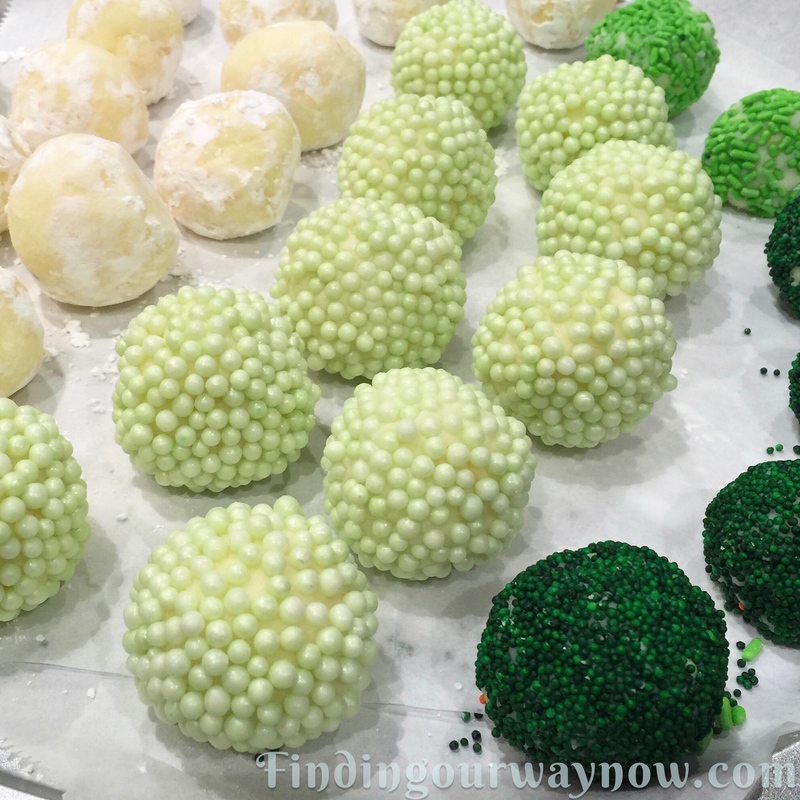 Toss with powdered sugar or gently roll the balls in sprinkles or nonpareils until coated. Store in an airtight container in the fridge for up to one week or freeze up to six months. Truffle Variations: These are just a few suggestions. Dark Chocolate of course: Use dark chocolate chips, 2 teaspoons of vanilla extract, increase the heavy cream to a ¾ cup, coat with powdered sugar or cocoa powder, omitting the lemon extract, juice, and zest. Cherry: Use 2 teaspoons cherry extract and chopped dried cherries, a drop of red food coloring and a coating of your choice in place of the lemon extract, juice, zest and yellow food coloring. Orange: Use orange extract, zest and juice and orange food coloring, and a coating of your choice in place of the lemon and yellow food coloring. Mint: Use two teaspoons of mint extract, red food coloring and 1 cup crushed peppermint candies to coat the truffle balls in place of the lemon extract, juice, zest and yellow food coloring. Notes: I find using a double boiler is gentler on any form of chocolate, preventing unintended scorching. If you don’t have Meyer lemons, regular lemons will do just fine. The opportunities to vary this easy peasy truffle recipe are endless so experiment a bit and have some fun. If you’re looking to dress them up for any holiday, all you need to do is to think about the sprinkles and nonpareils one might use, and you have an instant holiday surprise. For a turly decadent option, dip them in a coating of dark chocolate. With these Meyer Lemon Truffles finished, I’m off to deliver a package or two to my neighbors, personal trainer and all manner of friends who would enjoy these delights. While I’m at it, I’ll add my Meyer Lemon Curd and Marmalade to the package as an extra special treat. 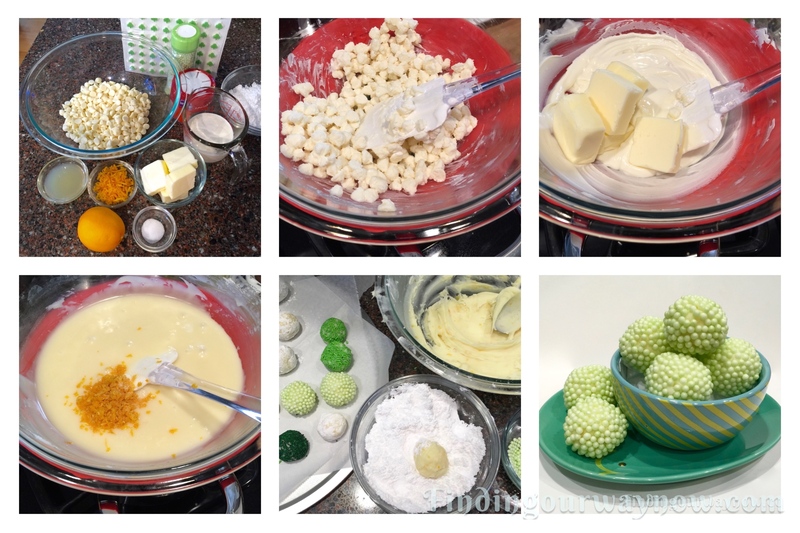 If you enjoyed my “Meyer Lemon Truffles,” check out my Easy Dark Chocolate Truffles, Lemon Fudge The Easy Way, or Rice Crispy Treats My Way. Enjoy.